2. 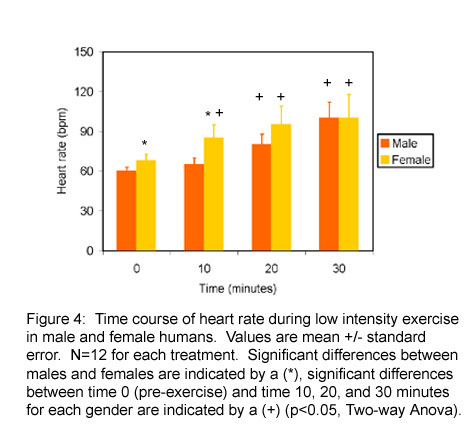 How does gender affect heart rate? Women have higher resting (pre-exercise) heart rates than men. Women have lower resting (pre-exercise) heart rates than men. Women have significantly higher heart rates than men at 30 minutes of exercise.